The 140,000 square foot Pier is located just north of the intersection of Alaskan Way and Clay Street on Elliott Bay. The Pier was built in 1902 by Ainsworth & Dunn, two businessmen who helped shape Seattle's shipping industry. As one of the largest docks on the waterfront, Pier 70 initially served sailing and steamer ships such as the Blue Funnel Line, a fleet of large freighters that operated between Europe, the Orient and the Pacific Coast. In 1916, a fire destroyed the upper Pier and roof and was subsequently rebuilt. 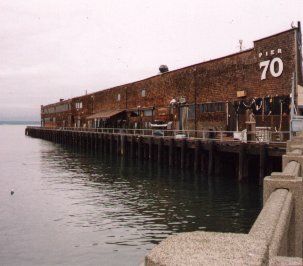 During World War II, the Washington State Liquor Board used the Pier as a warehouse. From 1946 to 1955, the US Coast Guard used the Pier as their Seattle base. In 1970, inspired by the success of Ghirardelli Factory and Fisherman's Wharf in San Francisco, Ainsworth & Dunn converted the Pier for retail and restaurant uses. Triad Development purchased the Pier in 1995 and renovated it into 90,000 square feet of unique “Class A” office space and 15,000 square feet of storefront retail. The interior design of Pier 70 for the filming of the series was created by Two Downtown, Ltd. Residential uses are prohibited on the Pier because of an urban-harborfront overly district. 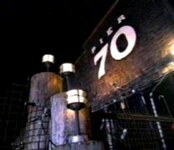 In order for the series to be filmed on the Pier, a special permit was obtained declaring Pier 70 as a "24 hour" film set. The filming delayed a planned remodeling of the Pier by 6 months. Pier 70 has now been completely remodeled and the no longer resembles the Pier that was used for the filming of the series. The Pier now houses office and retail tenants including AQUA by El Gaucho.